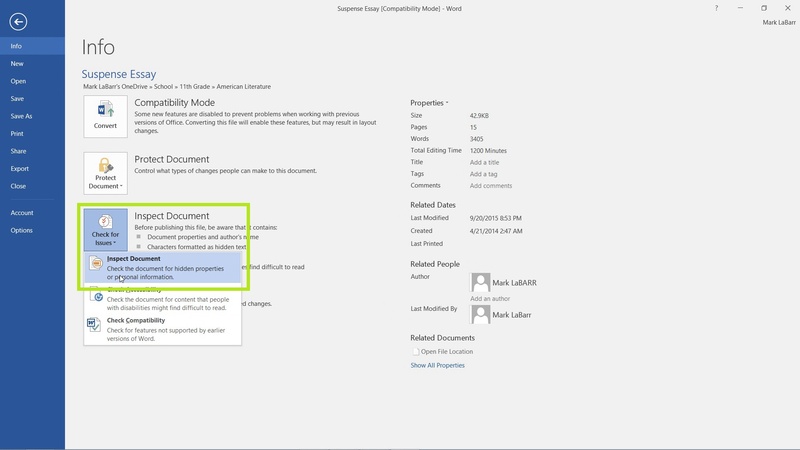 In this tutorial, we’re going to show you how to finalize and protect your Word 2016 document. First, click File at the top left. 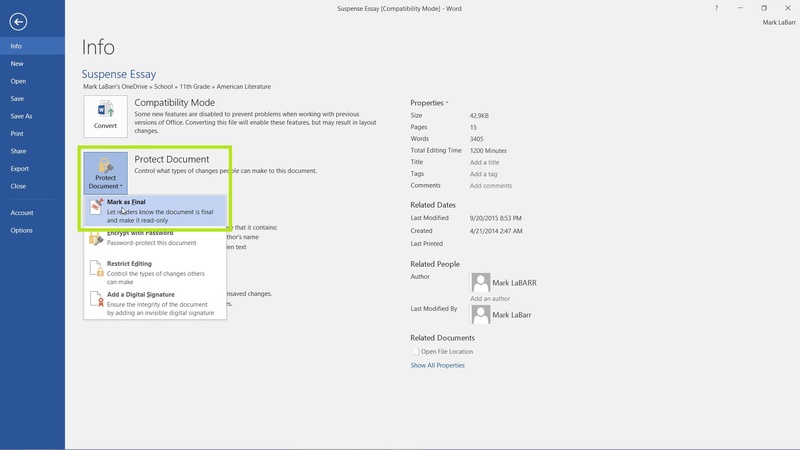 One way to finalize your document is to inspect it through the Check for Issues drop-down and selecting Inspect Document. 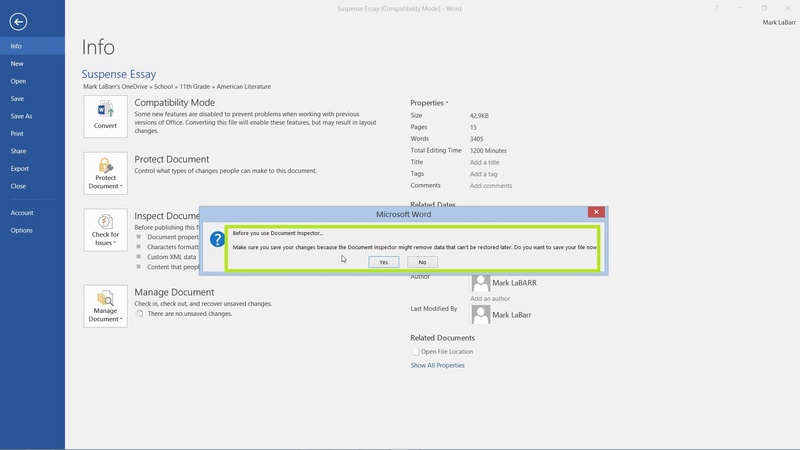 It will ask you if you would like to save your document now. 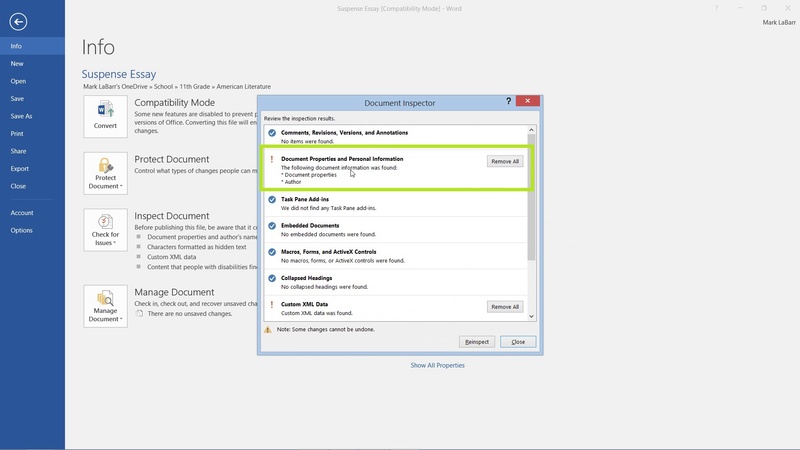 Since the Document Inspector may make changes if you allow it, it’s a good idea to save now. The Inspector will tell you of potential problems such as personal information in your document. You may choose to remove them directly from the Inspector, but this may lead to undesirable gaps in text. It may be best to remove them manually to prevent formatting errors or undesirable results. 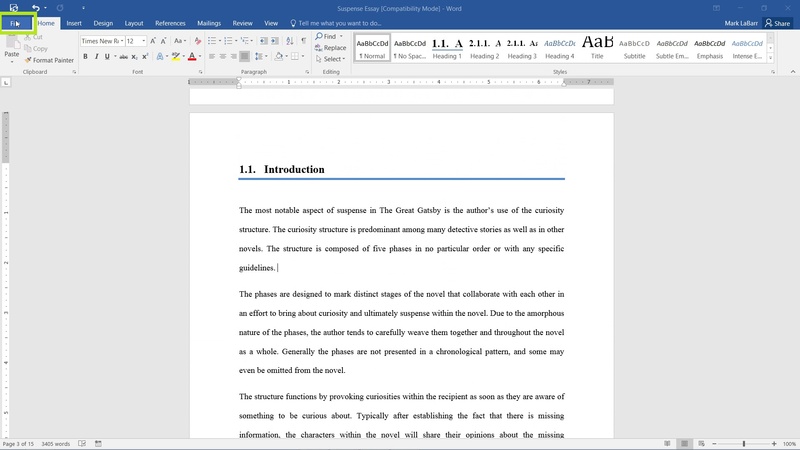 To protect your document, open the Protect Document drop-down. There are multiple options here, choose the one that fits your needs.